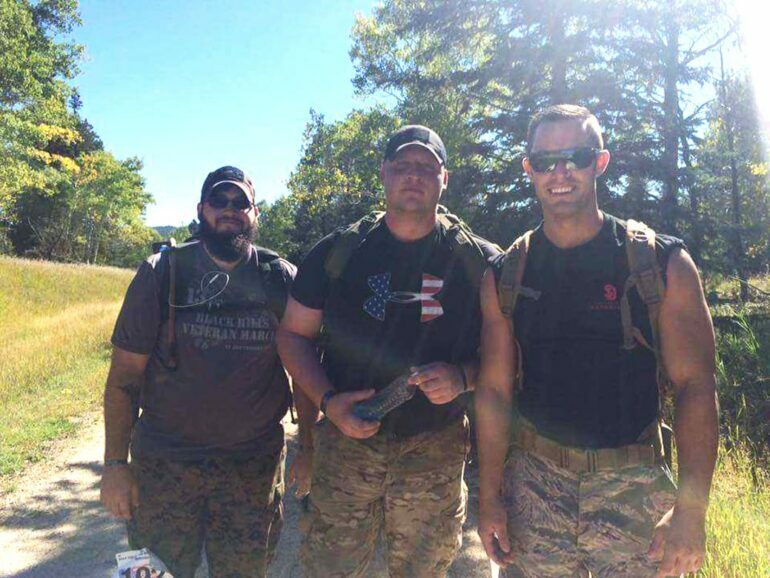 Three student veterans, Nathan Stockfleth, Krisztian Fasi and Michael Mayrose, have served a combined 21 years in the military. Each shared their experiences in service and how they’ve adjusted to civilian and college life. 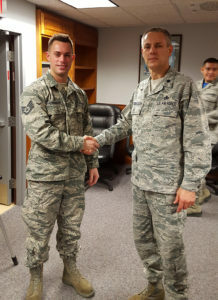 Stockfleth, a senior finance major from Sergeant Bluff, IA, has been in the Air National Guard for more than 12 years. Stockfleth, who still serves in the Guard, said he joined because he felt it was the right thing to do. Stockfleth said both his grandparents served in the Korean War conflict and his father has been in the Guard for more than 30 years. He said when he was growing up, his dad would be gone for months at a time whenever his unit was active. “Because I haven’t lived in somebody else’s shoes, I can’t say that (my childhood) was any worse or better off than anyone else,” he said. Stockfleth was deployed to Qatar twice, as well as Guam and Turkey. One of his deployments to Qatar was last year from January to August. Stockfleth said the best thing about his time in the military was the sense of pride and accomplishment. “Even when I’ve fallen on hard times, I’ve always had military service to reflect upon myself and say if nothing else, at the end of the day, I was able to give back to the U.S., to defend our freedoms and our way of life,” he said. Stockfleth said he appreciated the camaraderie in the military. He said his time overseas was a humbling experience, and returning home helped him remember his freedoms. Fasi, a third-year nursing student from Fort Lauderdale, FL, served in the Navy for five years. Fasi said he joined the service right out of high school because he didn’t have the money to go to college right away. He was the first member of his family to serve in the U.S. military. Fasi worked in the medical field of the Navy. 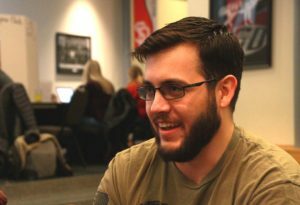 Fasi said he primarily served as a pharmacy technician at the second largest Naval hospital in the U.S., located in Portsmouth, VA.
Fasi waited six months after leaving the service before coming to USD. He said the adjustment was hard at first. For Fasi, being in service has made him want to make sure that he’s always serving his community, he said. “I think almost all veterans are like that to a degree,” Fasi said. Mayrose, a senior criminal justice major from Salem, SD, served in the Army for about four years. 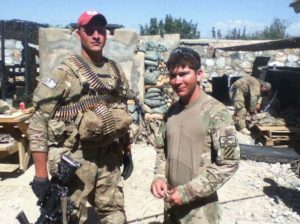 He was stationed at Fort Stewart in Georgia and served nine months in Afghanistan. Mayrose said he comes from a military family. Two of his grandparents were WWII veterans, and both of his parents served for more than 20 years. While Mayrose made many close friends during his time in service, he said the military also taught him how to work with people he didn’t like. Mayrose said his time in service taught him a lot about himself. Mayrose said there isn’t just one thing to know about veterans because no two veterans are the same.